We Are Gold-Rated On Guidestar! Harmony Project has been awarded a Gold level ranking from Guidestar for our commitment to transparency! Happy Summer Harmony Project Friends! We love free music, and want to make sure you know about these fun free concerts happening around Los Angeles. 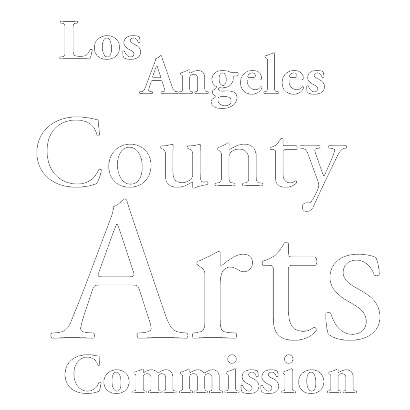 Many of the specific concerts chosen are part of a series of free concerts like Grand Performances and the LACMA concerts. Check out the links for more info! Aug. 3rd- Sept. 4th: Griffith Park Shakespeare Festival presents The Tempest at the Old Zoo every Wednesday- Sunday at 7pm. Mayra Moreno works to support the social needs of families and students that fall outside of our music programming — through referral services, parent workshops, community counseling, translations, mediation and assistance with accessing available resources in the community. Last Sunday, she received the SHEROES Award from Councilman Curren D. Price, Jr, which honors women making a positive change in their communities. We're lucky to have her. Congrats Mayra, and well deserved! Whew! We've Had A Busy Month! ...and we're not done yet! On May 1st, we held our Annual Luncheon and it was a rallying success. We surpassed our fundraising goal, which means we'll be able to operate at full capacity for the coming year, serving thousands of students across Los Angeles. We couldn't have done it without the help of hundreds of supporters like you. Thank you. We hope you'll join us at our Senior Graduation Ceremony on Sunday, May 22, where we'll give a warm Harmony Project send-off our graduating Senior Class. 97% of our seniors were accepted into college in 2016, and we couldn't be more proud of them. Most of our students will be the first in their family to go to college, and in a few short months they'll be studying at Princeton, Harvard, Georgetown, UCLA, USC, and Berklee College of Music. Not a bad list if you ask us! Head over to mathsciencemusic.org for teacher resources and apps that use music as a vehicle to teach other academic lessons, developed by Herbie Hancock and the Thelonious Monk Institute. Here at Harmony Project, when Spring rolls around we think of two things: Vivaldi's Four Seasons and the annual Harmony Project luncheon! This year's luncheon is shaping up to be a hit. We're honoring Janet and Marvin Jubas, who have been vital in preparing our students for higher education. The deadline to reserve your table and submit your tribute page for the journal is fast approaching, and we need your support. Tribute pages must be sent by Thursday, April 14th. Your presence at the luncheon and tribute page will help provide teachers, instruments, and safe spaces where low-income children can learn and thrive. Thank you for your dedication to the children of Los Angeles! 8 students from our YOLA EXPO program were in London last month with the LA Philharmonic on their European tour. Students joined an orchestra of young musicians from London in an open rehearsal with Gustavo Dudamel. They also participated in a Leadership Forum, toured some sights, saw the LA Philharmonic perform Mahler’s Symphony No. 3, and ate some great Indian food! Lucky kids! 61 Harmony Project Seniors applied for our 2016 Banchik Family College Scholarship, awarding eligible Seniors with $5,000 towards college costs. Applicants wrote an essay about their time with Harmony Project and were interviewed by a panel of Board Members. "Harmony Project has taught me to dream and aspire to be greater than what I see around me. Music has opened the windows of my soul and made me a better person." And in case you didn’t hear.. YOLA EXPO students performed at the Super Bowl with Coldplay & Beyonce. NBD. Check out the video: Harmony Project at the Super Bowl. How many music students get to say they spent their Saturday evening jamming with the bandleader of the Late Show with Stephen Colbert? Special thanks to Jon Batiste and Dr. Isacoff for hosting this very special performance and spreading the word about the power of music! We had a blast! Harmony Project students played with Coldplay and joined Beyoncé and Bruno Mars in an unforgettable performance. Special thanks to our partners at LA Phil and EXPO Center.